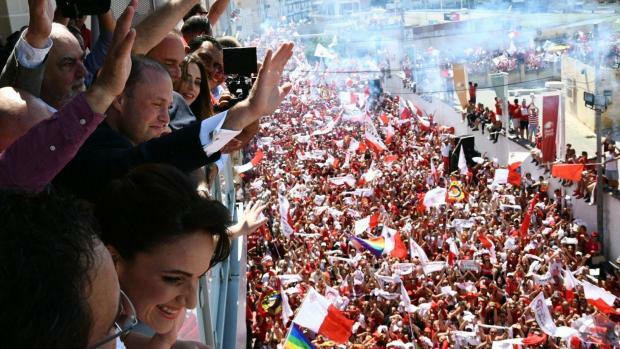 Prime Minister Joseph Muscat thanked voters today for giving him and his government a vote of confidence. Speaking from the balcony of the Labour Party headquarters alongside his wife and children, he said this was the first time in 41 years that Labour had won two elections on the trot with a popular majority. He was speaking shortly after his party swept to a convincing victory over the Nationalist Party. PL is heading towards a majority of 35,000 votes. "By your vote in 2017 you have confirmed the vote of 2013. You have confirmed your confidence in the movement despite one of the most negative electoral campaigns in the country's history. 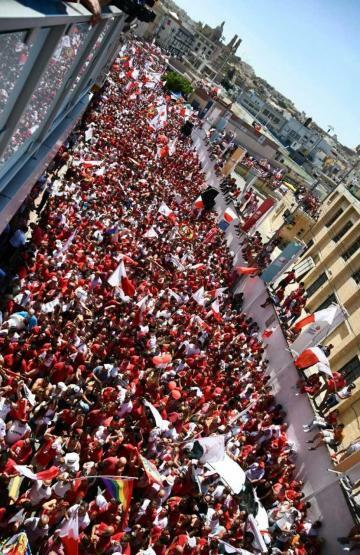 "Whoever thought that people would choose negativity does not know the people of Malta and Gozo. 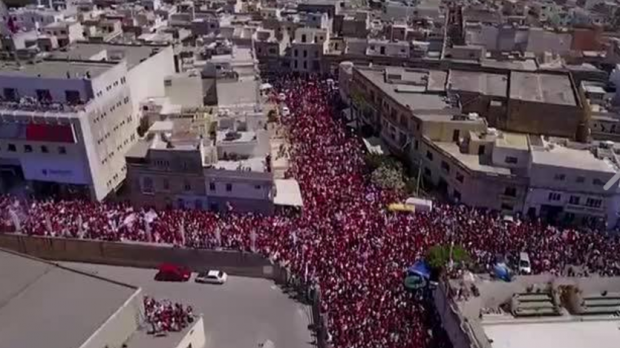 "The people choose positivity, optimism, energy, good will, unity and equality," Dr Muscat said to jubilation from the flag-waving crowd in the street. "Our work is not ready. We are only half way and you have decided that we should go on," he said. Their first task, he said, was to reunite the country. His family and himself had suffered most attacks, but they bore no bitterness and would work with all those who wished to work in Malta's interests. He thanked all those who had given him the honour of serving as prime minister for a second term and invited them for a celebration with the swearing in tomorrow at 11am. That will be followed by a Labour Party celebration on the Granaries on Saturday. Echoing Labour's campaign theme, he said that for all sectors of society the best times were still to come.